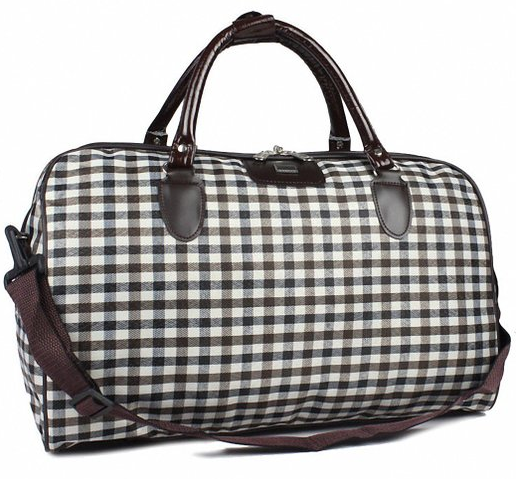 Vintage Striped Weekend Luggage Bag Only $14.90! 78% Off! You are here: Home / Great Deals / Amazon Deals / Vintage Striped Weekend Luggage Bag Only $14.90! 78% Off! This vintage striped weekend luggage bag is a really great deal at only $14.70! And, if you have Amazon Prime, it comes with FREE shipping as well! You can also get FREE shipping on orders over $35 as well if you don’t have Prime. This vintage striped weekend luggage bag normally sells for $69.00 so hurry and take advantage of this amazing sale!